Welcome to my 3rd party review of Q Sciences! I would like to congratulate you on doing your share when it comes to evaluating online business opportunities. Believe it or not most people that invest their time and money with an MLM believe all of the hype found on a website or mistake the sales pitch from a distributor as fact. Both of those practices are dangerous and can result in a serious mistake. This is what my reviews are all about. Even if I only prevent one person from investing in a scam or faulty online business, then I feel like it is worth it. Since I am a 3rd party reviewer, I have no affiliation with the companies I research. This means you will never had to sit through a sales pitch again. This is good news because sales pitches are usually half truths and they never tell you the entire story. For example, there are plenty of things that the Q Sciences website will leave out for obvious reasons. This review however, will provide you with information that will allow you to make an educated decision because you know all the good and bad about the company. Yes, of course I will go over the products and compensation plan, but it will also include a lengthy background check on the company and leadership. I have uncovered a few things that distributors will deny and claims that real science is involved. I am obligated to be as objective as possible which means I will point out both the good and bad aspects of the company. With that being said, I will try my best but the vast majority of the information I found is quite troubling. Q Sciences Overview – What is the Company? Q Science was founded in January of 2013 by Daren Hogge. Remember that name because I will be providing more information about him in a minute. I will reserve judgment of their claim although it is rather subjective rather than on scientific evidence. The website then goes on to provide evidence that Hogge has nearly 3 decades in the network marketing field and was successful throughout his career. One of those ventures was Genesis where Hogge served as president for 3 years. The co-founder of Gensis was sued by the Texas Ag and sued by the FTC for 9 million $$$. Now this does not mean that Hogge had anything to do with the legal issues but he has danced from one MLM to another every few years. What bothers me most is the fact that each and every MLM that he has been a part of claims the same thing. They claim to be a part of a medical miracle product that can help you become healthy. It become harder to trust someone that cannot stick with one MLM for years and keeps jumping ship when the hype wears off. Ok, enough about Hogge for now but he doesn’t exactly have the cleanest record, that is for sure. The next thing I would like you to take a look at are a few articles that I found. One of them is a news article condemning rogue distributors making dangerous medical claims and the other is an official legal Memorandum and Order. Both of these link are bad news for Q Science and their distributors. I highly recommend reading this article in its entirety because there are many facts in it that will help you make an educated decision. I will do a brief rundown of the greatest hits so you can have a few quick references. Here is how the article begins, which shows us just how SOME distributors sell their products. This is the kind of stuff that really gets my goat. Look, it is one thing to make a claim in regards to supplements helping you out with energy and things of that nature. But to claim that these products cure mental disorders like schizophrenia, bipolar and ADHD. Ok, so let me get this straight, this woman is saying that it is better to take some product consisting of vitamins than it is to take meds prescribed by real doctors. She is saying that a multivitamin supplement is all you need if you suffer from a mental disorder. According to any credible doctor, there is no cure for mental disorders like schizophrenia but there are treatments so these claims are all false and dangerous. To tell someone that they can stop taking their prescriptions and take this magical Q Science potion instead is scary. What is equally scary is that there are actually people that believe these claims are legit. Here is another document that you should take a quick look at. Obviously the document is filled with legal jargon so I’m not going to pretend to be a lawyer but there are a few sections that you should pay attention to. This statement makes sense considering Q Sciences’ distributors are willing to pretend to be doctors and tell people to stop taking their meds. Now the company itself is being charged with malpractice. This is too much for me at this point. I’m not trying to just point out the negative but try and find me some real scientific evidence. How about a academic journal or an endorsement from the FDA or WHO. There is a reason that no one other than Q Sciences’ doctors think the product is legit. It’s because it is just another snake oil scam. This is the second part that should draw some sort of reaction but is often overlooked. There are several laws that were broken according to the prosecutors. 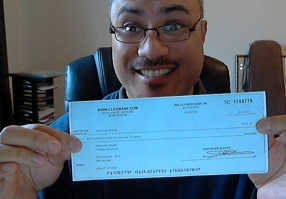 I will now list the products and link the compensation plan so you can take a look at it. As you can see, there are a lot of products promising to take care of or eliminate everyday medical issues that many people face. Let’s take a look at the compensation plan. Here is the link to the Q Science Comp Plan PDF. This section is going to be a lot shorter than normal because you should take the time to read the compensation plan so you get familiar with the details. If you are considering any MLM, you need to know what you are getting yourself into so please read it. WOW, that is a lot of ways to earn some sort of compensation. The problem is that the vast majority of them are based on recruiting. This is a serious flaw of most MLMS so it seems there is nothing special here. I have been hard on Q Science but there is a good reason for that. I am not here to give you all of the information provided on their website. I am here to show you the things that the company doesn’t want you to see. If you wanted to see a hype video from one of the distributors you can go ahead and watch them on YouTube but they are pretty annoying so tread lightly. What bothers me the most is the fact that people are still falling for the same ole song and dance. I mean, snake oil products have been around for centuries and you would think people would eventually come to their senses. This is not the case so this is why reviews like this are so important. Think of it like this. If companies would stick to ethical business practices, then a need for people like me would be eliminated. This is why I always tell people to stay away from MLMs and start their own online business. Even if you don’t know where to start, you can check out some of the FREE tutorials on YouTube. If you want an example of one of the training programs, check out this review. The program is free to try out and you can get some really helpful information form experienced entrepreneurs. I hope this review helped you on our journey to financial success. If you have any experience with Q Sciences, would like to ask a question or leave a comment, go ahead and fill out the form below.